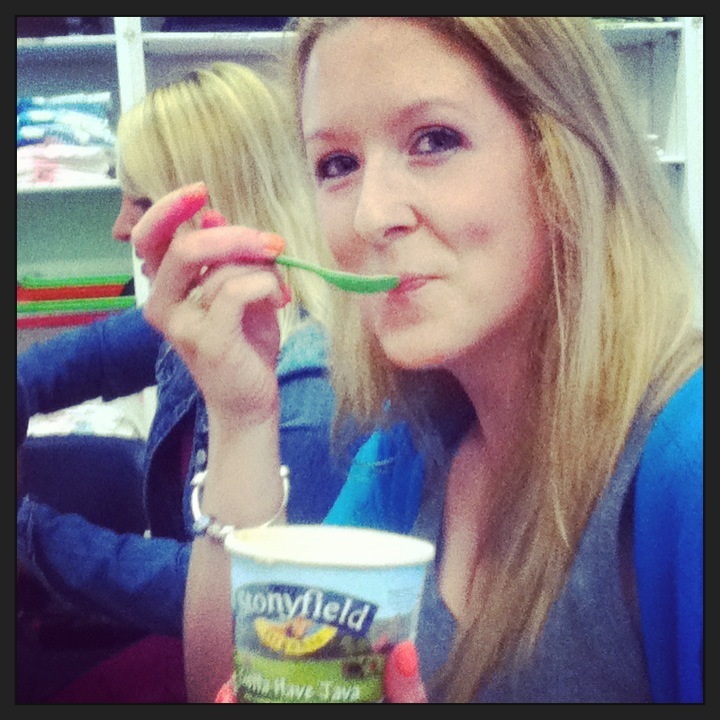 And the fun in between… Stonyfield Yogurt! – Breweries, Wineries and the fun in between! 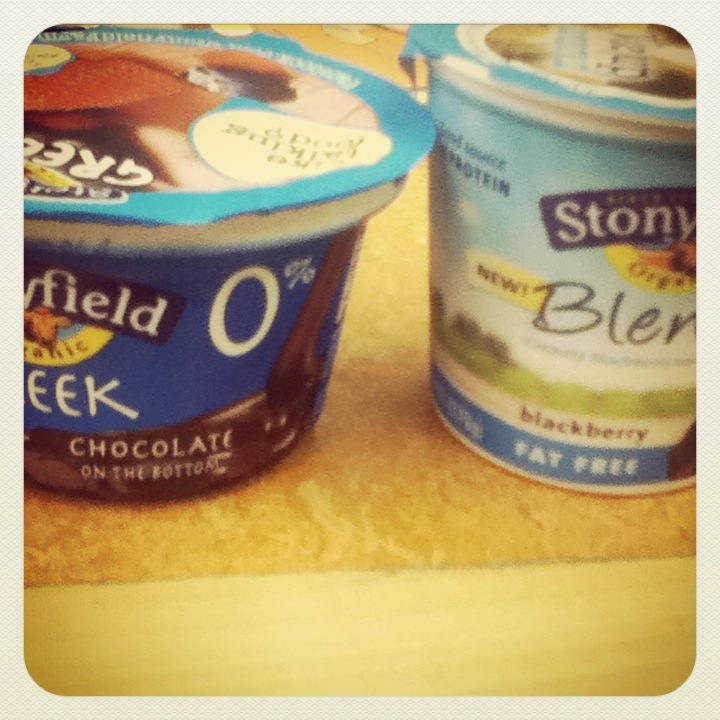 And the fun in between… Stonyfield Yogurt! 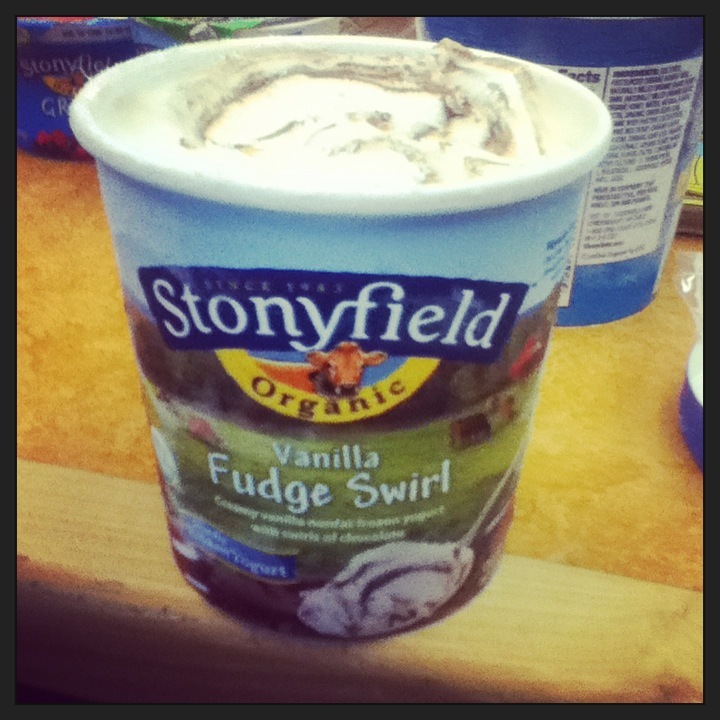 I recently went to Stonyfield Farm (located in Londonderry, New Hampshire) with BlogTweetNH. This was my first event with BlogTweetNH, but it defiantly won’t be my last. Upon arriving, we were met by Kristina and Chandra, who both work in the marketing department. Kristina and Chandra showed us a video-tour. 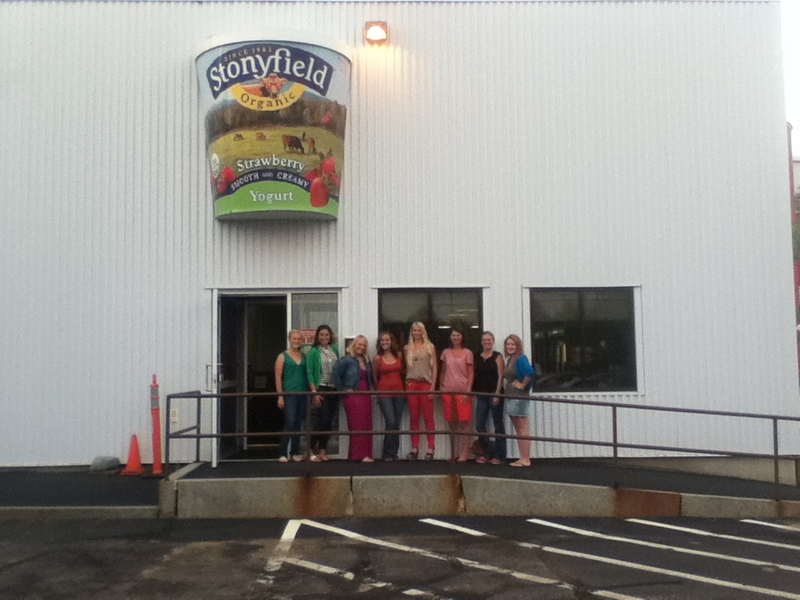 Stonyfield no longer offers a typical tour, but the video-tour covered a lot, while still allowing us to stay cool. The video-tour covered how Stonyfield makes their yogurt (Stoneyfield Yogurt has 6 live cultures in it, while most other yogurt has only 2), organic dairy farming, how they use energy and produce energy (the sun plays a HUGE part) and other important topics. Stonyfield began as a farming school, in Wilton NH in 1983. Samuel Kaymen and Gary Hirshberg opened the school together, and started to make yogurt for their own consumption. After determining that the yogurt was good enough to sell, they began to sell the yogurt to help raise funds for the school. After a few years, they determined that a successful yogurt company would make a bigger impact in the community than the school, and decided to run with it. Stonyfield moved to their current location, in Londonderry, NH in 1988. You can now find them everywhere- from grocery stores to colleges. Stonyfield Yogurt started as two guys who did everything- milked the cows, made the yogurt, made sales calls and even deliveries. Now, they have grown to producing 1.5 MILLION SERVINGS PER DAY!! 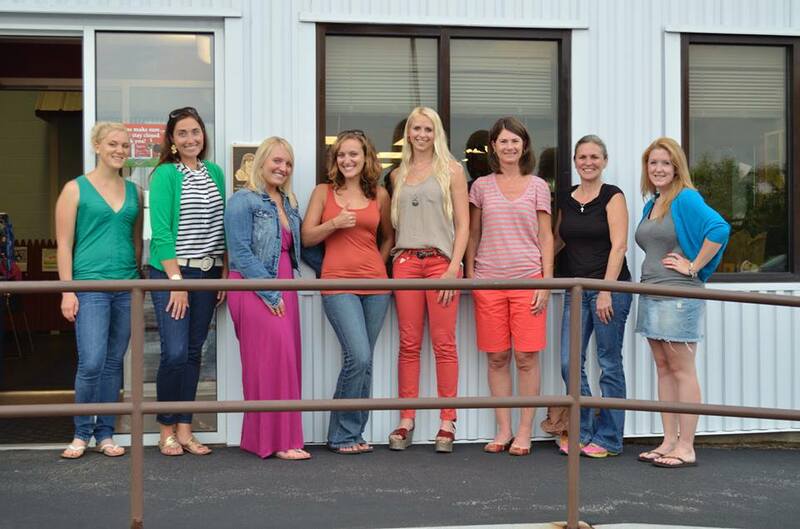 After the video-tour was complete, Kristina and Chandra had us all introduce ourselves (and our blogs!) and answered any questions we had… Then came the tasty part!We all went into the yogurt room, and were told to grab a Greek yogurt and Blend yogurt from the fridge. I chose Greek Chocolate on the Bottom, and the Blackberry blend. So delicious! 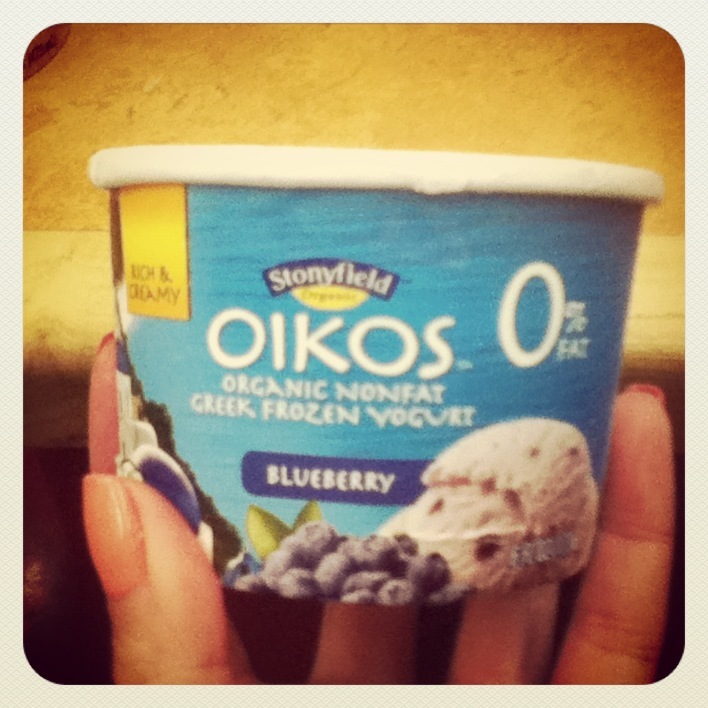 To be honest, I had been afraid to try Greek yogurt- afraid that I wouldn’t like it. It was soo good! The Blackberry Blend was also delicious, and another type of yogurt I probably would not have chosen previously at the supermarket. In the past, I have not been too fond of yogurt that has fruit in it, but the Blend is perfect- you still know that there is fruit in it, it is just finely chopped. 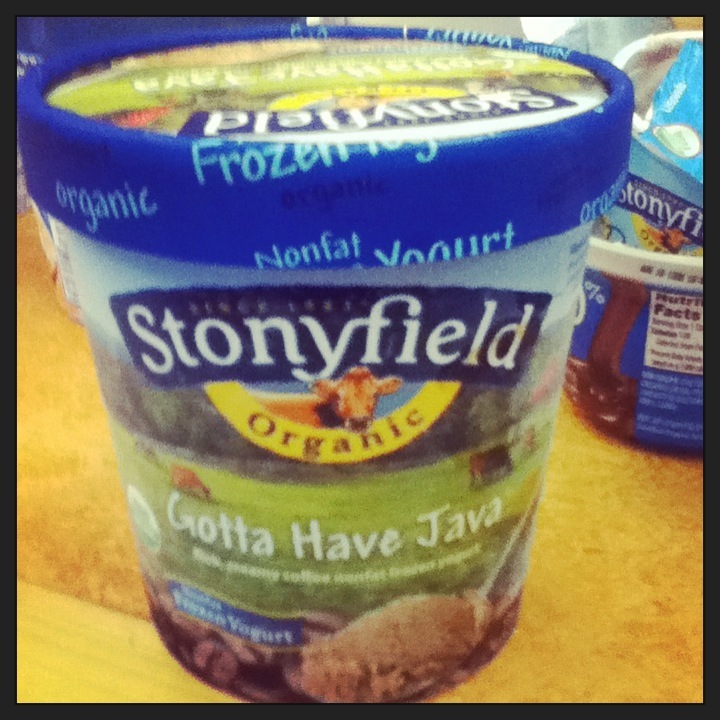 While we were enjoying our Greek yogurt and Blend yogurt, we were told about a fairly new part of Stonyfield, Brown Cow. Brown Cow started in the 1970’s in New York and later moved to California. 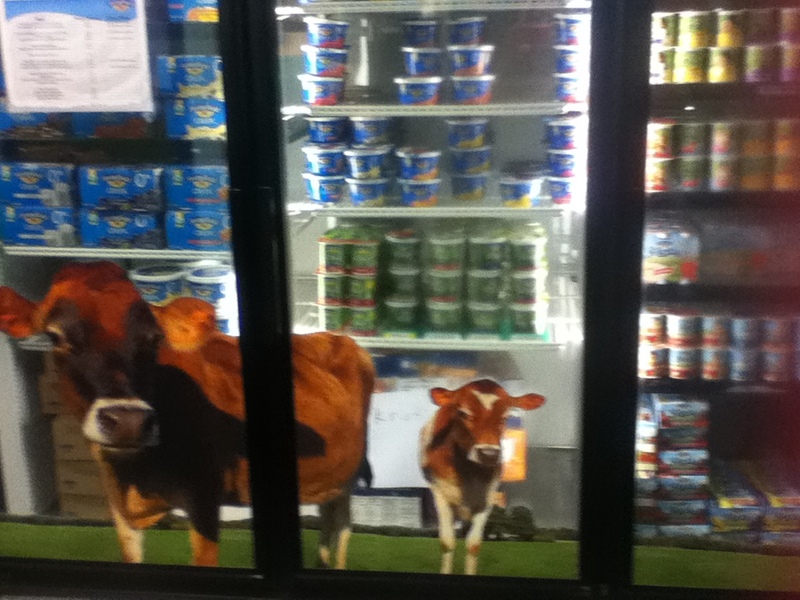 In 2003, Brown Cow was purchased by Stonyfield and became part of the Stonyfield family. 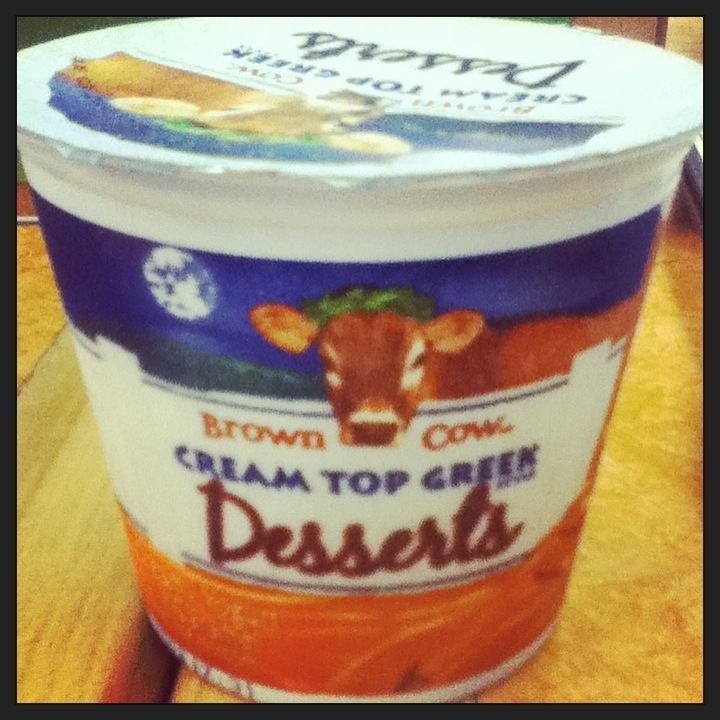 Brown Cow recently introduced Cream Top Greek Desserts. We had the opportunity to try both varieties- Creamy Yogurt with Caramel on the Bottom and Chocolate Yogurt with Cherries on the Bottom. I am usually more of a chocolate person, but since I had just had the Greek Chocolate on the Bottom, I decided to try the Caramel. OMG. Amazing. The yogurt had more of a custard consistency, and when you dipped your spoon just to the bottom and grabbed some caramel- YUM! I was also able to try the Chocolate/Cherry, which was also good, but caramel would be my 1st choice. They are currently available at Sam’s Club exclusively. Next up- Frozen Yogurt! 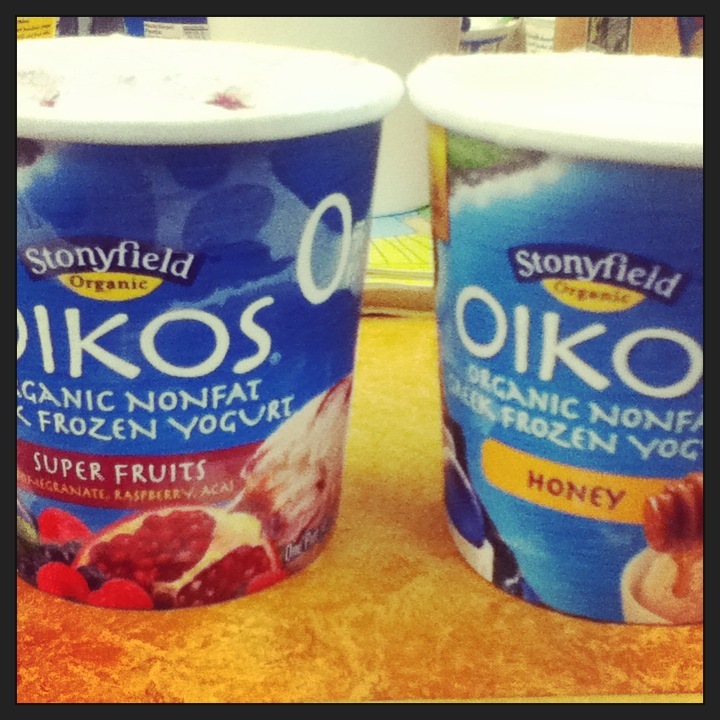 The first two varieties we tried were the Greek OIKOS variety, Super Fruits and Honey. The Super Fruits was really good. Great combination of Pomegranate, Raspberry and Acai berry; very smooth. The Honey I wasn’t as fond of, but I think it was more so that the flavor was unexpected. Next was Blueberry, which was very true to flavor. 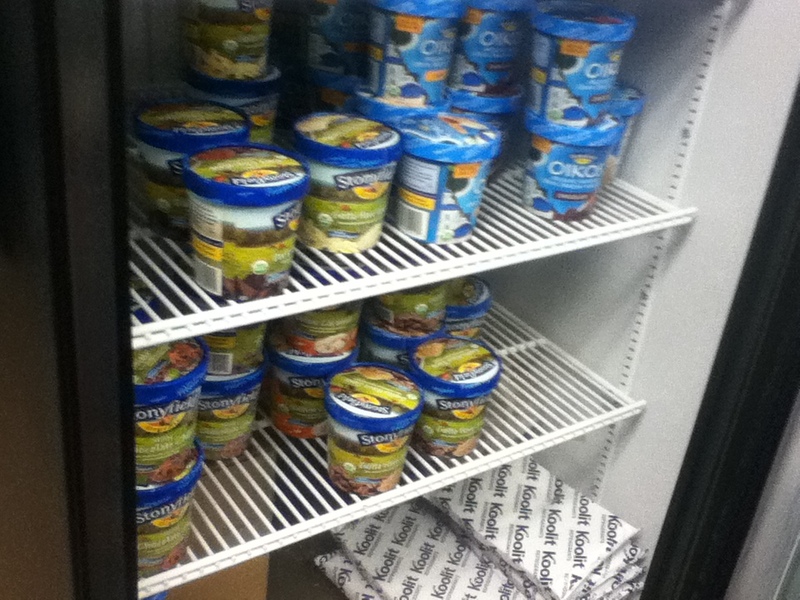 After trying three of their frozen yogurts, we were told to look in the fridges and see what else we wanted to try. Check out their fully stocked fridges! We decided to try three more frozen yogurts, this time we tried the regular yogurts (not Greek). We tried Minty Chocolate Chip, which had a great and strong mint chocolate flavor. We also tried the Vanilla Fudge Swirl. My favorite frozen yogurt was the Gotta Have Java- it is like eating a cold cup of the best cup of coffee you have ever had- SO GOOD! 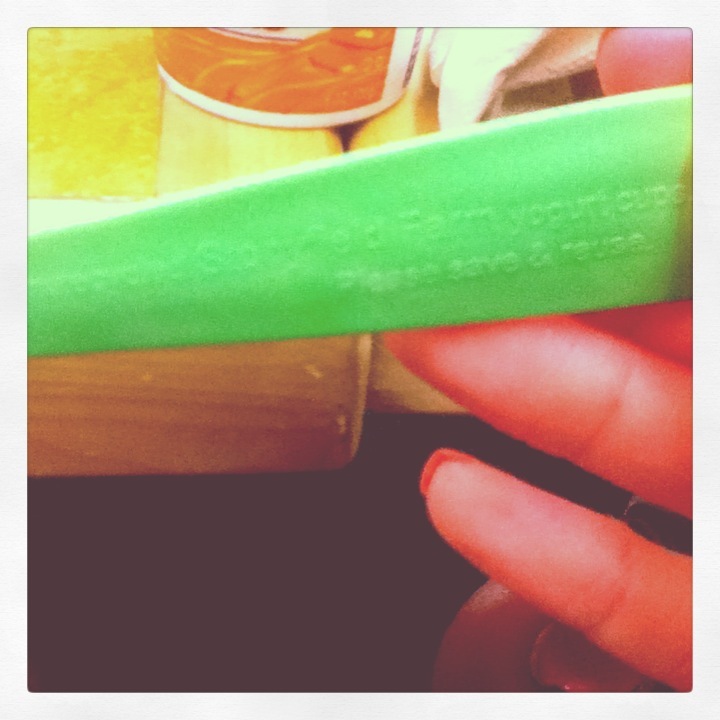 Stonyfield also had really cool spoons- they were strong and durable, but surprisingly were made from recycled yogurt cups! After we were done filling our faces, we each were given a goody bag. The bag itself is really cool- it is a ChicoBag, made from 7 recycled water bottles, and stuffs into itself so you can throw it in your bag. 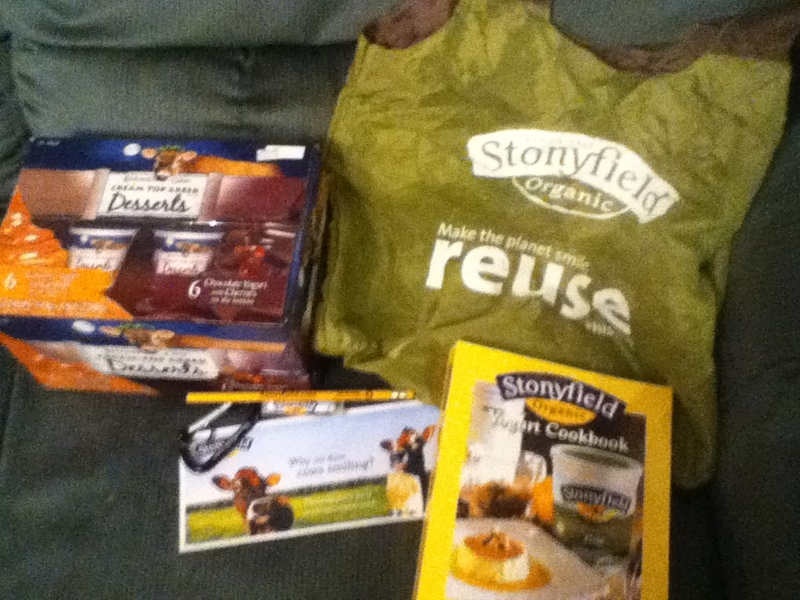 Also included was a Stonyfield pencil, Stonyfield Carabiner, Stonyfield lip balm, coupons and the Stonyfield Yogurt Cookbook. I can’t wait to try out a recipe from the cookbook! We were also each sent home with a 12 pack of the Brown Cow Cream Top Greek Desserts. Closed Sundays, holidays and holiday weekends*. Great job Megan! 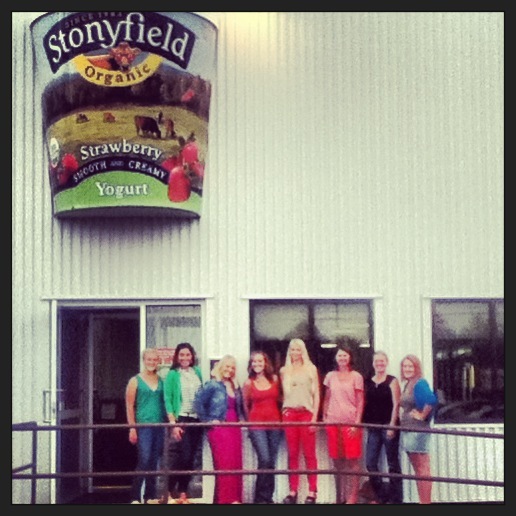 It was so nice meeting you at Stonyfield! !